SHARES in UK-listed gold producer, Acacia Mining, were under renewed pressure today after it announced potentially disastrous recommendations by the Tanzanian government based on its claim the company owed it “tens of billions of dollars” in unpaid tax. A Presidential Second Committee had consequently made recommendations including the payment of outstanding taxes and royalties, renegotiation of large scale Mineral Development Agreements, government ownership in the mines, and the continuation of the export ban, said Acacia Mining. Shares in the company were 9.5% lower at the time of writing taking losses since its dispute with the government began in April to nearly 45%. Shares in Barrick Gold, which owns just under 64% of Acacia Mining, were unaffected in pre-market trade. Barrick last year weighed the sale of it stake in Acacia, which was then worth about $1.9bn compared to some $730m today. 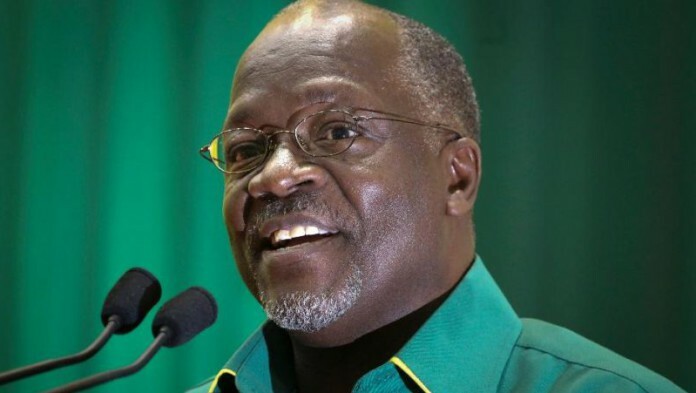 The Tanzanian government, led by President John Magufuli, has placed a ban on the gold/copper concentrate produced by two of Acacia’s three mines – Bulyanhulu and Buzwagi – claiming that the company had not declared their true value. Output from North Mara, Acacia’s third mine, is in the form of gold doré and is not affected by the ban. A Presidential First Committee concluded earlier this month that Acacia had under-declared its value by a factor of ten – a claim Acacia has disputed since it is contrary to more than 20 years of audited historical data. The assessment, if authentic, would also make the two mines among the richest in the world with production of 1.5 million ounces a year each. The second committee, formed to consider the economic and legal aspects of the mineral concentrates, took its lead from the findings of the first committee which Acacia said was “… impossible to reconcile” as it “grossly overstate(s) the value of concentrate”. The company said in remained open to “further dialogue” with the Tanzanian government. “We reiterate that we have declared everything of commercial value that we have produced since we started operating in Tanzania and have paid all appropriate royalties and taxes on all of the payable minerals that we produce,” it said. “In addition, our published accounts are annually audited to an international standard”. Analysts believe Acacia could close its mines were the ban protracted. “We had expected the concentrate ban to be resolved, anticipating perhaps some penalty in the form of increased tax prepayments,” said Investec Securities analysts, Hunter Hillcoat and Marc Elliott in a note published on May 30. “However, given the implausible assertions being propagated by the Tanzanian government, it now appears that Acacia may not be dealing with a rational administration and that there may not in fact be an equitable resolution to come. “Unless some resolution is reached, Acacia now faces the prospect of a protracted and costly legal battle in international courts,” they said.